Tonight we are the king and queen, For oh tonight it's Halloween! WiShIng eVeRyOnE The HaPpIesT aNd sPooKieST HalLowEEn....hAvE a piEce oF TaMrA DaViS's PuMpkin pIe fOr Me! What a cute pumpkin ! A Happy Halloween to you too N and your family as well...hope you have a fun day ! Have a wonderful weekend and Halloween! Amazing... pumpkin.. Happy Halloween to you too! Next up - Christmas decor! I am very excited this year since I have discovered the blogging world, and there are SO many great ideas and recipes all over the place. YAY! GREAT!!! pumpkin. and Halloween poem. HAVE A HAPPY HALLOWEEN!!! What a "boo" tiful pumpkin, thanks for visiting the French Trick'r Treaters, we did have fun! 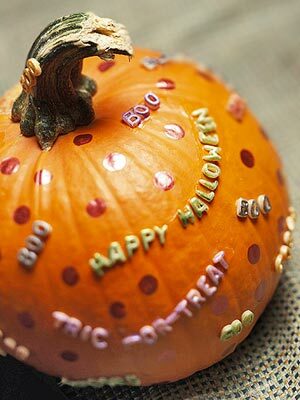 Such a cute pumpkin and a great idea too! G'morning and thanks so much for stopping by. I noticed that you like WHEN HARRY MET SALLY..me, too. A few other oldies I like..
Bridges of Madison County, Dirty Dancing, Pretty Woman, Tombstone (this one has Val Kilmer in it and he is AWESOME..best role he ever played).....I LOVE movies.